Few clothing items make us feel more feminine, fun, and comfortable in our own skin than a great pair of leggings. However shopping for leggings is not always easy and the quality can often be questionable. See-though leggings anyone? Here at Enjoy Leggings, we understand that your time is valuable and feeling beautiful is essential which is why we’ve created a monthly subscription for leggings! We chose to launch Enjoy Leggings because we wanted to share high quality leggings with you at an affordable price. Our prices are so affordable because our manufacturer gives us a large wholesale discount, which means cheaper leggings for you! Just because our leggings are affordable doesn’t mean they are cheaply made! We searched long and hard for the right manufacturer and we are extremely happy with the finished product. 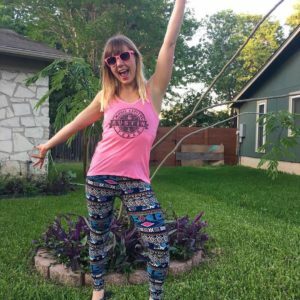 We have vigorously tested our leggings through yoga, hiking, climbing, and other physical activities to make sure they are up to our standards.